Padang is one of the main tourism destinations in Sumatra. It has beautiful nature, fascinating culture and delicious cuisine. But Padang is also the right place to splash your cash. Let’s see several places to shop in Padang. Basko Grand Mall is a modern shopping center in the heart of Padang that has modern and dynamic concept. 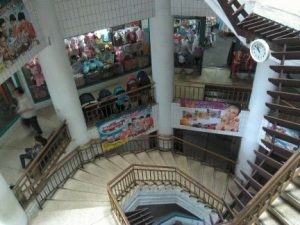 Previously the mall was also known as Basko Minang Plaza. 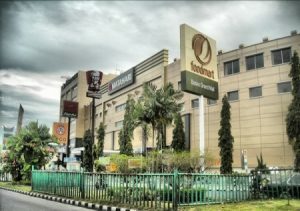 Basko Grand Mall consists of three floors and is adjacent to the Premier Basko Hotel Padang.The mall has several well known tenants such as Pizza Hut, Bread Talk, CFC, KFC, J.CO Donuts & Coffee, Foodmart, Solaria, Matahari Department Store, OkeShop, Strawberry, and many others. 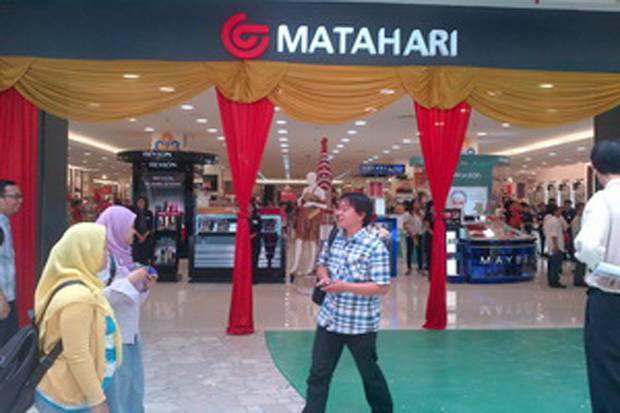 Basko Grand Mall is located at Prof. Hamka Street, Air Tawar Timur, Padang. Opening hours is 10 am-10 pm. Cristine Hakim Idea Park offers a variety of West Sumatra specialties produced by small business enterprises. Until now, there are around 150 small business enterprises who are partners of CHIP. Besides selling food, CHIP which stands on an area of twelve thousand square meters also has ice skating ride. It is said that the ice skating ride were designed by renowned architects from Spain. This facility aims to be a complement to customers who come to shop, enjoy culinary and relax as well. Christine Hakim Idea Park (CHIP) is located at Adinegoro Street, Kotatangah, Padang. Opening hours is 9 am – 9 pm. It’s the right place to enjoy nightlife in Padang. Damar Plaza Padang is the first mall built in Padang. The mall is still a favorite shopping center for the people of Padang. In addition to supermarkets, Damar Plaza is widely known as the center of women’s clothing. Occasionally Damar Plaza is also used as an exhibition venue because of its strategic location. Damar Plaza is located at Damar Street, Olo, Padang. Opening hours is 10 am-10pm. Plaza Andalas is a modern shopping center that carries the concept of one stop shopping. One of the top tenants here is Ramayana Departement Store where you can get stylish outfits at reasonable prices. 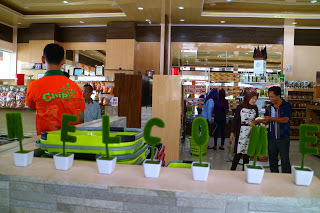 To spoil its visitors, Plaza Andalas has a food court that serves a variety of delicious dishes. There are also Inul Vista Karaoke and Johny Andrean Salon. 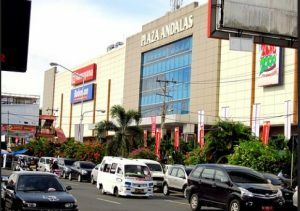 Plaza Andalas is located at Pemuda Street, Olo, Padang. Opening hours is 10 am-10pm. SJS Plaza is a paradise for electronic lovers. This three-story building offers various electronic items, ranging from home appliances, water pumps, smartphones to LED TVs. All famous brands from Korea, Japan, America and Europe can be found here. In addition, SJS Plaza also provides various furniture products such as sofas, mattresses, kitchen sets and wardrobes. SJS Plaza is located at Jhoni Anwar Street, Ulak Karang Utara, Padang. Opening hours is 10 am – 10 pm. Sentral Pasar Raya Plaza initially had the concept of being a wholesale center like Tanah Abang in Jakarta. But due to the earthquake in 2009 that caused heavy damage, the building is rebuilt with the concept of a mall that accommodates wholesalers, retail traders and retail companies. Some of the well-known tenants at SPR Plaza are Matahari Department Store, J.CO Donuts, Bread Talk and Cinemaxx. SPR Plaza also features a food court, children playing ground and a large parking lot. Sentral Pasar Raya Plaza is located at Mohammad Yamin Street, Padang. Opening hours is 10 am-10pm. One of the famous snacks from Padang is balado chips. Balado chips are made from cassava and flavored spicy. Tasting balado chips is one of must things to do in Padang. In addition to balado chips, Keripik Balado Shirley also sells various Padang snacks for souvenirs such as opak lado, sanjai chips, rendang and others. These snacks are packed airtight so they can last longer. 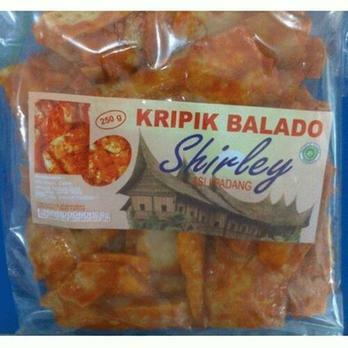 Keripik Balado Shirley are located at Gereja Street, No. 36, Padang. Opening hours is 10 am-10pm. If you take a walk to Tanah Datar which is about 1 hour drive from Padang, stop by the Kiniko Enterprise. This place offers typical Padang coffee that worth a taste. The aroma and taste of Padang coffee is very distinct. The way of serving is also unique in which using coconut shells. Kiniko Enterprise also sells Padang coffee beans that have been milled. The price is around Rp. 20,000 per pack. Kiniko Enterprise is located in Batusangkar, Tanah Datar Regency. 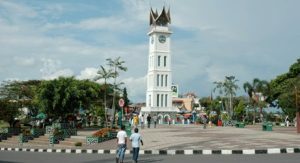 Jam Gadang is a landmark of West Sumatra. It’s a must visit place. You can’t say you have come to West Sumatra if you don’t take a photo at Jam Gadang. In addition to enjoying the beauty of the clock, you can also take a walk in its courtyard to hunt for souvenirs. There are many stalls that sell T-shirts, miniature of Jam Gadang and typical foods of West Sumatra. Jam Gadang is located in Bukittinggi. It’s about 2 hours drive from Padang. Visiting Jam Gadang is definitely one of things to do in Bukittinggi. 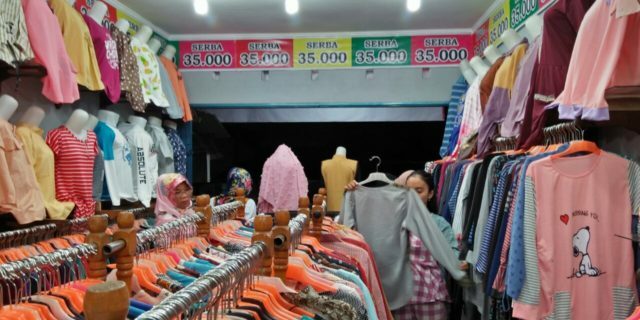 Toko Serba 35 is widely known for offering affordable clothes. The store is always packed with customers ahead of Eid al-Fitr or New Year. Even people from outside Padang come to shop here. As the name implies, this store sells clothes starting at Rp. 35,000. There are many choices of clothes for women and men. So customers not only get cheap prices, but also stylish outfits. Toko Serba 35 is located at Arai Pinang, Lubuk Begalung, Padang. 11. Keripik Balado Christine Hakim at Nipah Street, No. 38, Padang. 12. Toko Cinderamata Ucok at Imam Bonjol Street, No. 16, Padang. 13. Silungkang Art Center at Imam Bonjol No. 137, Padang. 14. Padang Craft Center at Sudirman Street, No. 5A, Padang. 15. Mahkota Souvenir at Prof. Hamka Sreet, No. 137, Padang. 16. 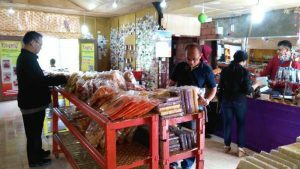 Pasar Aur Kuning in Bukit Tinggi. 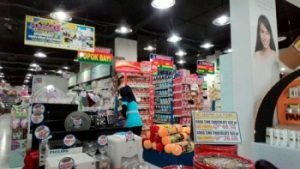 Well guys, you have seen several places to shop in Padang. Do not hesitate to spend your money to get unique gifts or local specialties. Enjoy Padang.